The Variations on an Original Theme, Op. 15, were composed in 1854 and published the same year by Breitkopf and Hartel in Leipzig. Based on variation technique, the form of the composition is untypical. The subject with three variations (in the major) is preceded by an introduction in the minor with elements of a cadenza. This passage reappears after the variations and is followed by a finale in the form of a brilliant waltz ending in an effective coda. 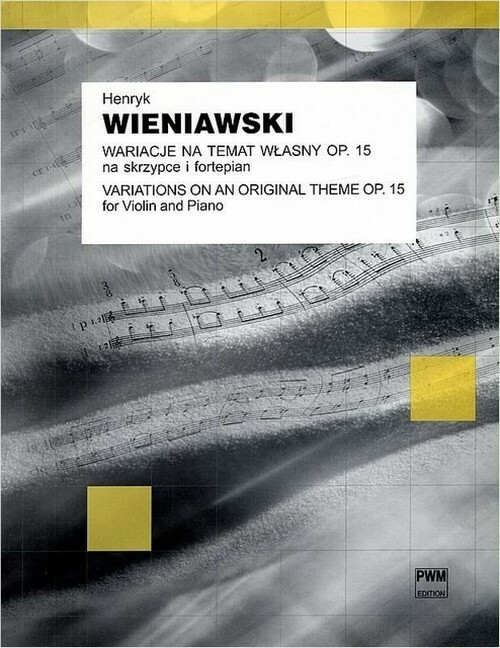 The Variations – like other compositions by Wieniawski – require freedom in chord and octave playing, skill in performing various types of staccato, brilliant passage-work and other virtuoso technique as well as purity of intonation when playing harmonics.